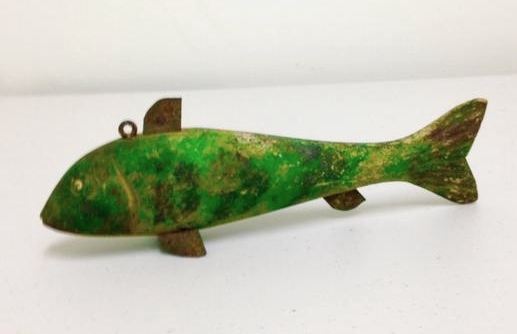 Genuine early ice fishing decoy. Nicely carved, original polychrome paint and tin fins. Excellent condition with extra nice dry surface. Kind of a soulful face. 8″ long. From a Colorado collection.